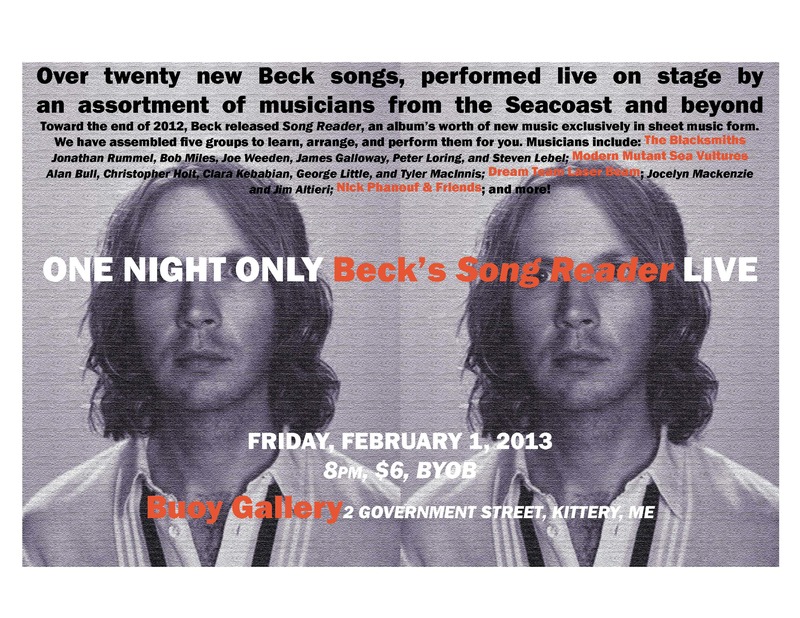 Toward the end of 2012, Beck released Song Reader, an album’s worth of new music exclusively in sheet music form. We have assembled five groups to learn, arrange, and perform them for you. Musicians include members of Tan Vampires, Tiger Saw, Pearl & the Beard, and many more. Song Reader will be played in its entirety, four groups playing five songs each. This performance is one night-only! In the wake of Modern Guilt and The Information, Beck’s latest album comes in an almost-forgotten form—twenty songs existing only as individual pieces of sheet music, never before released or recorded. Complete with full-color, heyday-of-home-play-inspired art for each song and a lavishly produced hardcover carrying case, Song Reader is an experiment in what an album can be at the end of 2012—an alternative that enlists the listener in the tone of every track, and that’s as visually absorbing as a dozen gatefold LPs put together.